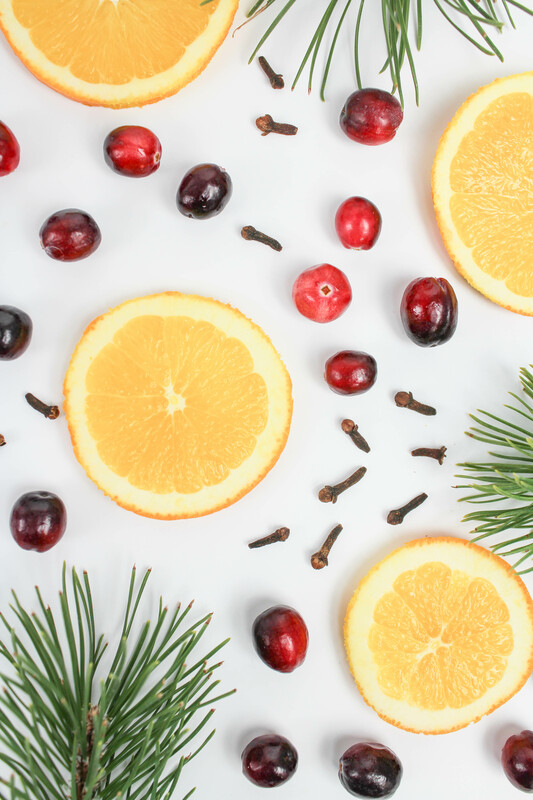 The holidays are in full swing and I’m diving headfirst right into all of the fun! One of my favorite things to do while wrapping up gifts and listening to Christmas music is to make this easy stove top holiday potpourri. It fills the house with the best scents of the season and really gets me into the holiday spirit. 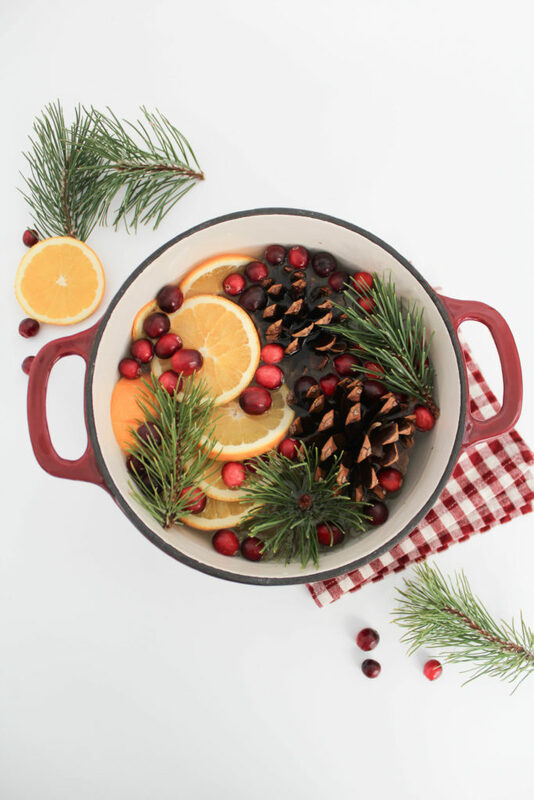 It’s perfect to have simmering on the stove when hosting a holiday party, having friends or family over, or just settling in for a cozy holiday movie night on the couch! 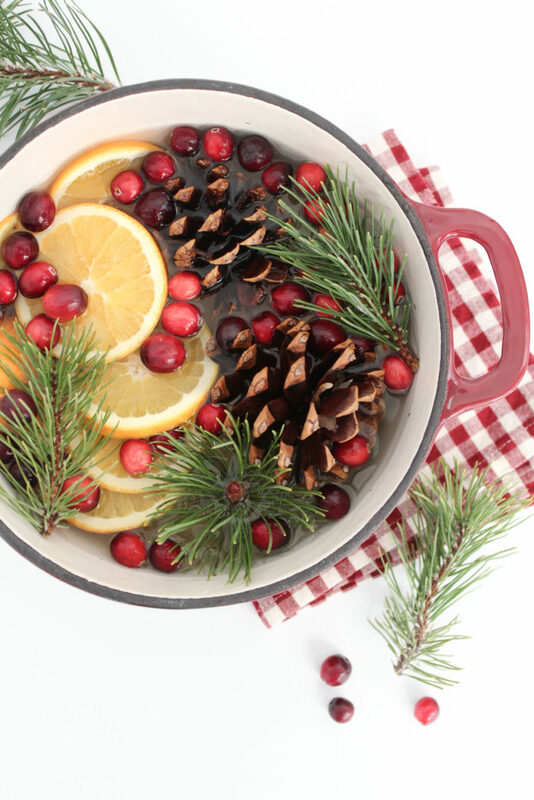 Combine all of the ingredients into a pot. Add water until it reaches about 3/4 of the way full. Place on the stove and bring to a boil, before reducing to a simmer. 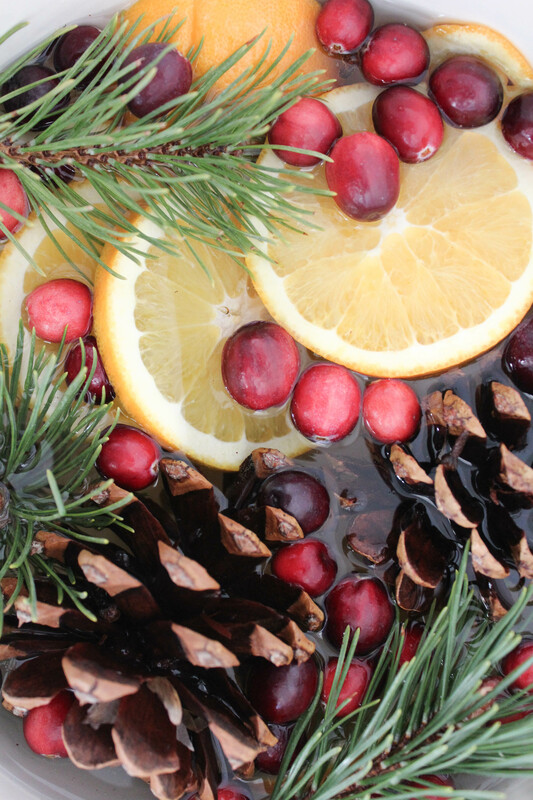 You can simmer the potpourri for as long as you want, just continue to add more water as it starts evaporating. You can even re-heat this stove top Holiday Potpourri the next day as well, but I’d probably recommend making a new batch if you want to continue for longer than 2 days. 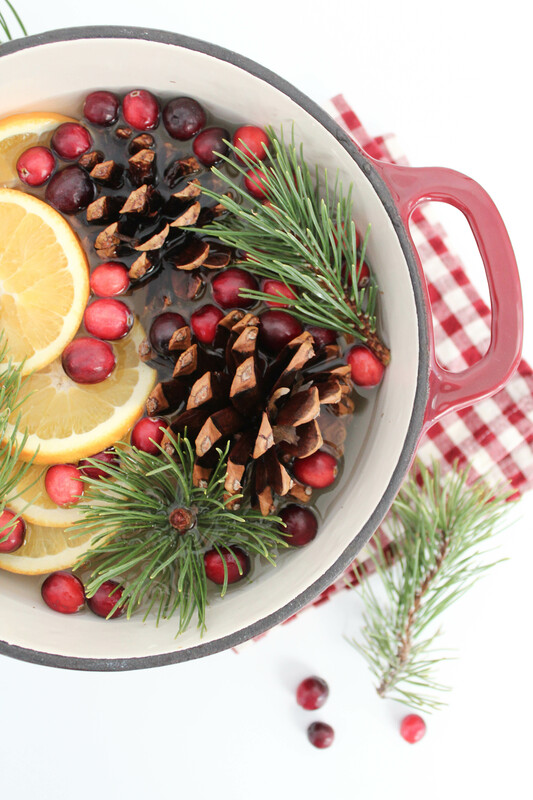 This little recipe for stove top holiday potpourri will fill your house with all of the scents of the season and couldn’t be easier to throw together! This could also make a great gift idea for a friend or neighbor too. Just put together the ingredients and wrap them up in a pot with instructions! Too cute!